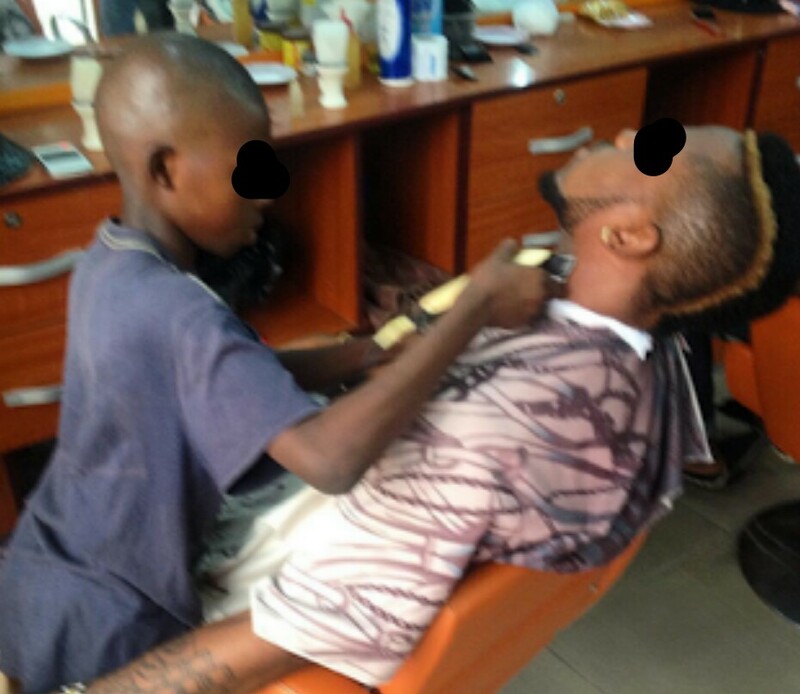 10-Year-Old Barber Who Makes At Least N5,000 Daily... Pics. "Meet OLAKEKAN the wonder kid barber responsible for my cut. He's 10 years old, in JSS1 and he earns atleast 5,000 naira daily from barbing..... Parents please stop training your children like toys. Those little kids you see at home have more in them than you can imagine... Help their future, give them a chance." Meet OLAKEKAN the wonder kid barber responsible for my cut. He's 10 years old, in JSS1 and he earns atleast 5,000 naira daily from barbing..... Parents please stop training your children like toys. Those little kids you see at home have more in them than you can imagine... Help their future, give them a chance.